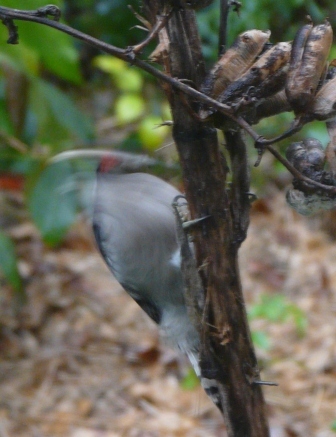 Downy woodpeckers love the dried flower stems of yucca plants. The stems stand for months after the flowers have died and woodpeckers visit them every few days. Presumably, woodpeckers are after the overwintering larvae of insects. Head-banging. 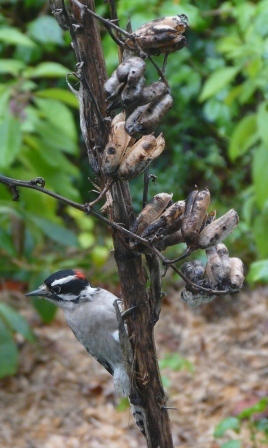 Seedpods rattle as the woodpecker works. This entry was posted in Archosaurs, Garden on October 20, 2011 by David George Haskell.